My final post about our week in Thailand and I'm now convinced that we need to go back. And this time we need to stay even longer. While we were in Koh Samui we mostly just relaxed and enjoyed the beach. But we did venture a little bit further one evening to experience the Friday Market at Fisherman's Village. Bophut is located on the northern coast and was just a quick taxi ride from our hotel. It is known for the traditional Fisherman's Village. It's also now known for the restaurants, shopping and traditional architecture. It's a popular area for watersports and beach bars. On Friday night they close the roads and vendors set up all up and down the street that runs along the beach. You can find just about any food you can imagine. On a stick. Exhibit A is garlic toast. You can get a cocktail or an ice cold beer as you walk along. But, oh the shopping!! The prices are so low. I must have bought a dozens things and couldn't have spent more than £20. The atmosphere was festive and joyful. It started raining at one point, but it didn't put a damper on anything. The vendors just covered their wares with plastic and everyone ducked into bar until it passed. The street is lined with restaurants and bars serving the freshest of seafood. You can even have dinner on the beach if you want. As the sun started to set it just got prettier. This guy was made to live in the tropics. We often try to come up with ways that we could move to Thailand for a few years. If only. 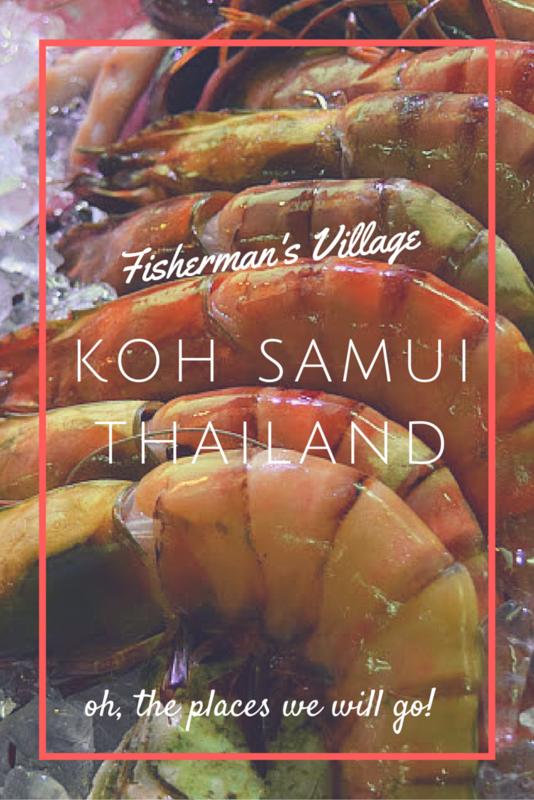 Don't miss the Friday market at Fisherman's Village at Bophut Beach when you visit Koh Samui, Thailand. And look! I finally finished posting about our week in Thailand. 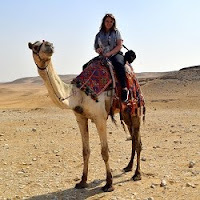 I'm slowing getting caught up and I feel like I'm getting a little blogging mojo back. Thanks so much to everyone who reads along. It's means the world.